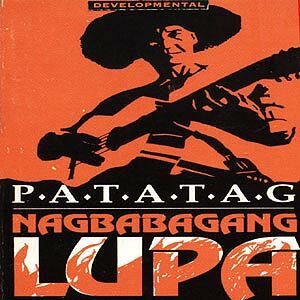 Patatag was formed in March 1984 during the Marcos regime. 24 years after the founding of the singing group, they will hold a reunion gig this Friday, November 21, at '70s Bistro in Anonas St., Quezon City. Patatag, the '80s parliament of the streets singing group that captured the convictions of the times through their songs, reunites for a member in need of medical support. Those who loved their songs and would love to hear them again can attend the reunion gig this Friday night. The group's fund-raising concert and re-launch of their 3 albums will be held on November 21 at '70s Bistro, 46 Anonas St., Project 2, Quezon City. Showtime is from 6 to 9 p.m. They will be singing old favorites with new musical arrangements and they will be joined by a new generation of Patatag--their very own children who have now become musicians and singers in their own right. Also sharing the stage with the group on the 21st of November is a member of Patatag's family and dear friend, Susan Fernandez. For a ticket price of P500, you get a 3-pack CD Album of their songs that captured the convictions of those times, and perhaps, even of today. The 3-CD pack is a re-mastered (digital) release of previous recordings, namely: "Nagbabagang Lupa," "Batang Clark," and "Masdan, O Yahweh." Motivated by a member in need of medical support, Patatag members hope that their fans can support them even for this special cause as they savor those days, reminisce the past, share the experience with new friends and family, and pass-on to their children the legacy that is Patatag.